A good looking game, and it looks as though all had fun as well. I just wish I had a few people in my club into this period. Nice looking table and figures. Makes me want to play! A great looking game. I am just starting out in this "period" and found this quite inspiring. I have some Gripping Beast and Warlord Games plastics with some metals from Gripping Beast, Warlord, Footsore and some acquired from others (including the odd fantasy figure). Most are not yet painted. 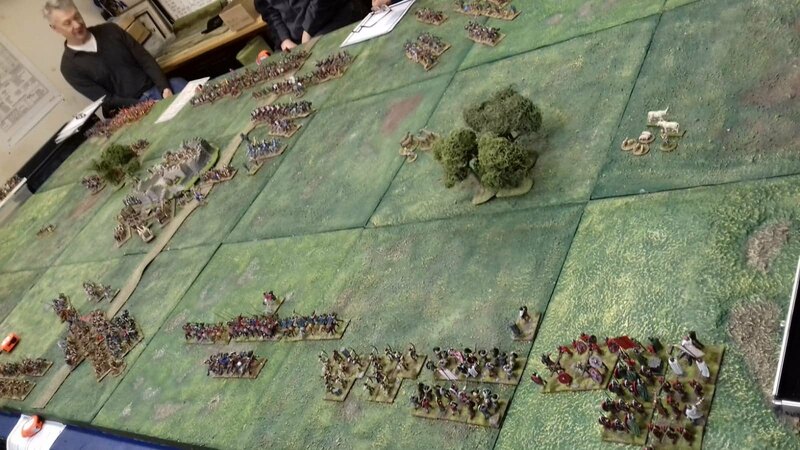 Hoping to raise - Saxons, Angles, Romano British, Scotti, British/Welsh warlord and Picts (eventually). Incidentally wo make the Romano British Scorpion (Late Roman?) crews? Fantastic game and great write-up. I guess third time was the charm. Cheers, having different factions on the two sides makes for a more interestung game and is incidentally easier to balance the forces too. I like being able to mix manufarcturers to create more variety too. 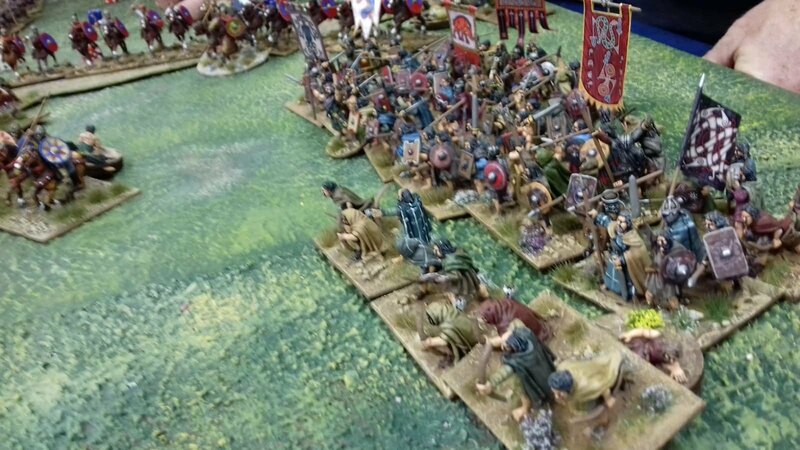 We have an El Cid game coming up which will have a similar approach I am thinking. The Scorpions are not mine but pretty sure these are Gripping Beast. Can you tell me who makes the ruined castle terrain piece featured in the game? Hey Armchairgeneral company is Ziterdes. German company. Very good service. Their stuff is often for sale at shows in the UK. aLSO THE SCORPIONS ARE TWO DIFFERENT MAKES, THOSE INT HE FORT ARE fOUNDRY AND THOSE ON THE HILL ARE gRIPPING bEAST. Oops, sorry about the capitals, grammar and spelling guys.